In this awe-inspiring journey, students will quest to Shangri La. Known over the world as a paradise-on-earth, Shangri La and Yunnan represent a part of China that is folklore-like in its tranquillity and beauty. Traversing Kunming, Dali, Lijiang, and Shangrila students will be visiting the Lashi wetlands, seeing the architecture of the Bai minority, and biking around the Erhai Lake. Later in the week, students travel to Lijiang to ride horses on the Ancient Tea Horse road, as well as participate in an ultra-serene yoga and meditation session. Afterwards, we spend time at the Shika snow mountain in Shangrila and participate in a half-day local school exchange. Want to visit Yunnan but with a different subject focused theme such as Geography, Mandarin, Service, Art or Music? Or combine this itinerary with Chengdu or Hong Kong as an extension? Our school trips are completely customizable and can be tailored to meet your requirements. Speak to a specialist now to find out more. Arrive to the capital city of Yunnan province and the Spring City of China: Kunming. Located at 1900 meters above sea level, Kunming is famed for both its beauty and international significance. Because of its location close to other Southeast Asian countries, it has been a trade hub between Tibetan, Burmese, Indian and Han cultures for over 2000 years. We start our trip with a walk through Cuihu Park, a leisure-center since the mid 17th century. As well as being a trade and economic center, Kunming houses the military branch responsible for the defense of China’s southwestern borders. We visit the Army Officials School for a short tour and introduction about the military system in China. In the morning we visit the Yunnan Nationalities Village where we learn about the ethnic minorities that live in the region. Of the 56 ethnic groups represented in China, almost half – 25 of them – have a historical presence in Yunnan. We then begin our transfer to Dali, the former capital of the Bai and Dali Kingdoms. We stretch our legs upon arriving, walking through the very well-preserved Dali old town area – a great area to shop for souvenirs! We start the morning with a scenic bike ride around the beautiful Erhai Lake (helmets provided). Located at almost 2000 meters above sea level, the lake has been famed for its rich biodiversity and plentiful fishing since the 8th century. However, due to modernization, its natural resources are becoming contaminated (optional: do a biodiversity study with coaching from a local expert). Next, we visit a local fishing town called Shuanglang. Though quickly modernising as well, Shuanglang is one of the lesser-known towns bordering the Erhai lake and students are able to see Bai architecture in its original styles. In the afternoon we begin our transfer to Lijiang – a UNESCO World Heritage site, and a region famous for its continuous ‘Sapien’ inhabitation since 98000 BCE. Keeping with the tranquil vibes of this beautiful city, we start our time here with a yoga/meditation class. We finish the day with some free time which we advise students to spend by exploring the cobbled streets of ancient Lijiang. In the morning we visit Lashi Lake which is located at the southern foot of the Jade Dragon Snow Mountain. It is an international wetland reserve and is highly famous for being a shelter for migratory birds (ask us about our birds species worksheet), many of which are endangered. Then we will be riding horses through the ancient tea-horse road. This same route played a significant role in ancient international trade. In the afternoon, we go to a local school to do a half-day school exchange. Students will take a school tour, join some lessons, play sports, eat lunch and participate in other activities alongside Chinese students. Visiting schools should prepare gifts and a performance for the welcome ceremony in advance. The morning is spent transferring to Shangri-La. 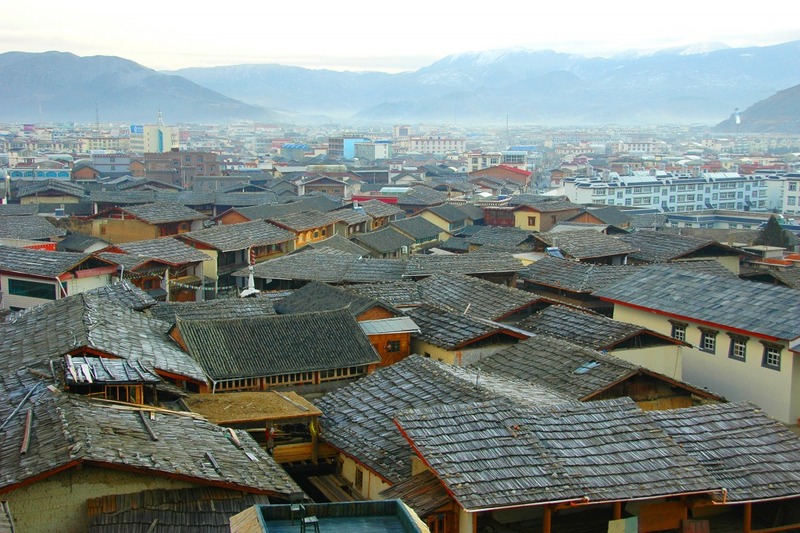 Originally called Zhongdian, the town is inhabited by the Tibetan people and is the most common way to enter Tibet. We travel to the summit of Shika Snow Mountain. A Tibetan holy mountain, the name refers to the red deer that are native to the region (and holy in Tibetan Buddhism). Upon taking the cable car to the sightseeing platform, students will be able to see the surrounding mountain peaks, including the Jade Dragon Snow mountain. We go on a short hike to the peak. Today we visit the Dukezong Ancient City. Located at 3000 meters above sea level, it has been an important hub for trade on the ancient tea-horse road and has existed for over 1300 years. 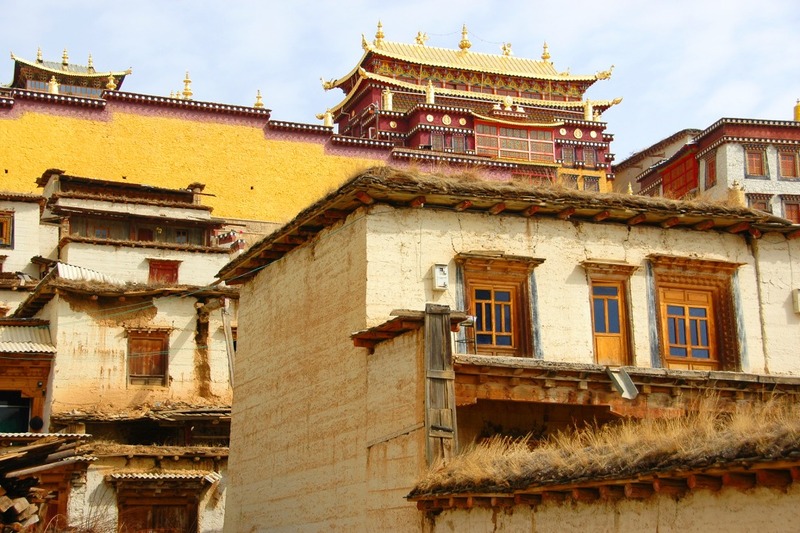 It is by far the most well-preserved and largest of the remaining Tibetan dwellings in China, though much of it was destroyed in an infamous fire in 2014. It is surrounded by monasteries and is perhaps the most typical of Tibetan towns outside of Tibet proper. In the afternoon, we being our long journey back to where we started our trip; Kunming. Before heading to the airport to transfer back home, we make a stop at Yuantong temple. It is known to be the earliest amongst the Guanyin temples in China. Built during the Tang dynasty, it is Kunming’s favorite Buddhist site. Action; students will participate in a hike, a bike hike, a horse ride as well as a yoga retreat enjoying both relaxing and thrilling physical activities. We aim to provide students with amazing active experiences, instilling a positive attitude towards active travelling. 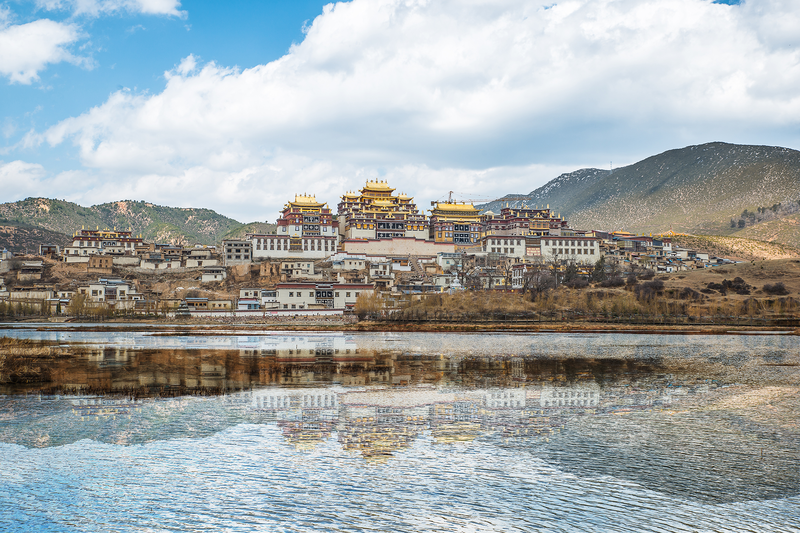 Creativity & Culture; through a half-day school exchange, an in-depth look into the Bai minorities, as well as visiting the Dukezong Tibetan people’s town – students will be shown the diversity and variety of Yunnan’s cultures and society. Sustainability; The sites visited in this itinerary are some of the most incredible natural wonders of the world. We invite students to compare the legends of Shangri La to its reality as well as consider the environmental policy changes that may irrevocably change these destinations.